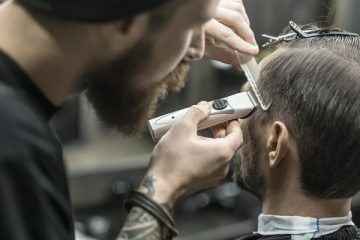 What are some of the questions that come to mind when you’re looking for the best hair clipper? You will face many questions: Which brand is reliable? Which model is the best one? Am I paying too much? Is that too cheap? Yes, this article will answer all of your questions and present to you one of the most reliable brands of the industry – Oster! You may have heard or read plenty about well-known brands such as Wahl, Andis, Philips, etc. Oster is another reliable brand which is often overlooked. This article will introduce you top six Oster clippers for hassle free, reliable & satisfaction guaranteed performance. 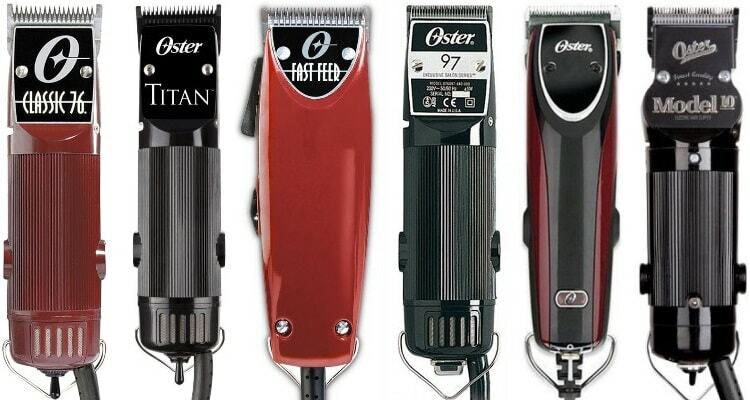 Now let’s get a quick overview of the top six Oster hair clippers! 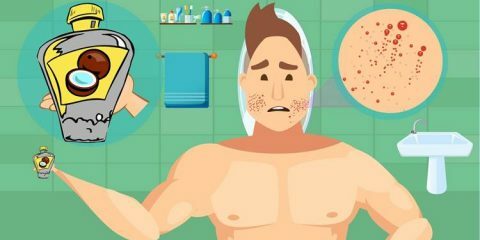 Why Oster Clippers are Better Choice than Other Clippers? The Oster Classic 76 is without a doubt, a very classy clipper. It is also among the most popular models of all the Oster clippers as recommended by professional barbers & stylists. It is powered by an extremely heavy duty universal motor which is durable and unique from its competitors. While the power on the Oster 76 is maximum, it has minimum noise! It is one of the quietest heavy duty performance motors found in the market. Its noise free features is a major advantage as many users are sensitive to the loud roars of powerful clippers. It comes with an ultra-durable, break-resistant housing for its 9-feet long cord giving users maximum movement. If you are someone who is new to clipping your own hair, then don’t be nervous with the description of this heavy duty clipper. The Oster Classic 76 offers a great solution for first time as well as professional users for a wholesome experience. It is capable of cutting through all different types of hair in length, thickness and conditions such as dry or wet. The fast motor is complemented by the extremely sharp Cryogen-x blades offering a value which is worth every penny! The Classic 76 is very reliable, convenient and easy-to-use with its detachable blades. The motor technology is patented and is more precise than any others. It is an excellent option for styling hair with cuts such as fades. While it is a great clipper, a concern for many users maybe its weight. The classic 76 is quite heavy as a unit and its performance is not exceptional for styling bald fades. 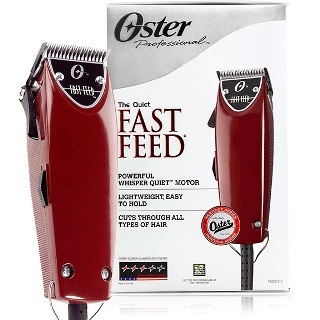 The Oster Fast Feed is a powerful Pivot Motor run clipper which is easily among the top performers in the best hair clippers available in the market today. The motor works on the Whisper Quiet pivot motor and is partnered by stainless steel, cryogenically tested blades which are razor sharp & adjustable for a fast & easy, quick, clean cut every time. In addition to the Fast Feed clipper being designed with a quiet motor to keep out all the noise, the power is not compromised and it has an extremely durable build which is bound to last many years. The design of the hair clipper is attractive in a burgundy colored body which is both sleek and appealing to most consumers. The body is ergonomically designed for ultimate comfort of every user with a conveniently place adjustable blade lever. The design of the Oster Fast Feed clipper is truly one of its great positives but is also a large unit which has a comfortable grip and offer easy control. The 8 feet long cord does its part to give you a lot of room to work with this clipper. The cord material is durable for carefree movement. It is an excellent clipper for effectively styling hair with fades & other blending hairstyles. Oster Fast Feed is one of the best in the lightweight clipper category not only among Oster clippers but all other clippers in the market. It is very popular with users for its heavy duty clipping with cool & quiet, professional quality results even for beginners. With all its positives, an important concern for the Oster Fast Feed clipper is that the lever used for adjusting the blade is not notched – a tiny flaw which is a hit or miss for many! The Oster Octane is a cordless clipper which presents the features of the Classic 76 by Oster without the limitation of the cord. 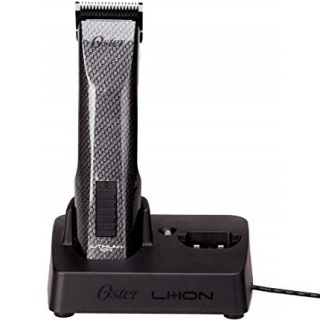 It comes with a powerful rotary motor with detachable Oster clipper blade system in various sizes. The same Universal motor among most the powerful Oster clippers offer the same level of high performance but with the advantage of cordless. The battery is capable of delivering up to 2 hours of performance with just 45 minutes required to reach full charge. The charging stand serves dual purpose as it can be rested while also getting charged in between use. An extra charging space is also available for an extra battery, if needed. In addition to all this, the Octane cordless clipper is extremely light in weight with ergonomic body design and a smooth grip for comfortable handling. The cordless Oster Octane is an extremely powerful clipper, bursting the myth of cordless clippers being less powerful. It is a durable clipper like any of the other premium corded clippers by Oster capable of delivering the finest cuts. The Octane has a nice shape, lightweight, and the body is made with solid material resistant to drops and bumps. The cordless clipper does not have any issues of heating up and although the power fluctuates just a tiny bit when charge is lower, it is nothing which will hamper the performance of the haircuts. It is natural for a cordless battery operated clipper to lose power as it burns up its charge. But the drop in power is not noticeable during use and does not struggle to deliver cuts. One disadvantage among other Oster hair clippers is that the blades cannot be changed while it is running. This may not be a big concern, but it is a feature missing in the Oster Octane cordless clipper. The Oster Model 10 is a great piece of machinery. 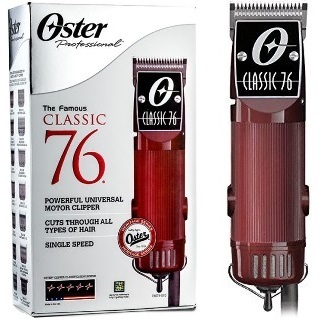 It is a slimmer, trimmer and overall a lighter version of the Oster Classic 76 in many ways. The lighter weight is achieved through a slimmer body, allowing the right grip for a slightly slimmer body for those who find the Classic 76 to be too wide. Given it is in the similar level of performance to the Classic 76, there is really nothing wrong done by the Model 10. The Model 10 uses the same clipper blade technology as all the other premium Oster clippers, the detachable blades in various sizes. It is essentially a similarly priced, similar performing trimmer which is lighter to use. The difference may not be apparent until a long day use. But the results achieved are professional from a slightly lighter and trimmer looking clipper by Oster. The Oster Model 10 weighs just half a pound less than the Classic 76 but the difference will easily be felt after long term usage. You will be able to operate it more easily with less tiring. Also, as beginners many will enjoy the lighter and slimmer body of the Model 10 instead of the awkward feel of a heavy duty, large size such as the Classic 76. 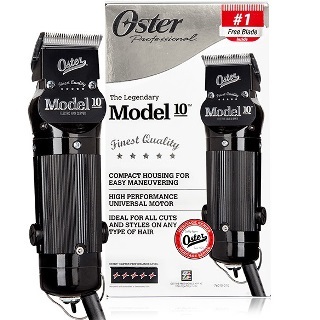 The Model 10 by Oster is easily one of the most appealing looking models available in the market. Its full black body is highlighted by the ridged body and the signature stainless steel, detachable blades. It also comes with a nicely placed toggle switch for one hand operation. The extra-long 10 feet of cord gives the maximum freedom for any corded clipper by Oster or any other premium brands. It is a slimmer, trimmer and more lightweight Oster clipper. 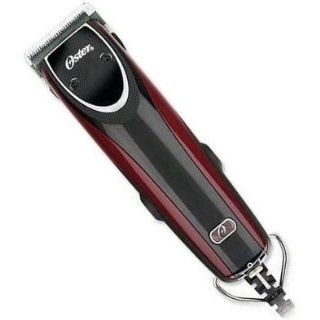 Even with all of its amazing features, this is not the best Oster clipper for delivering the best skin fades. 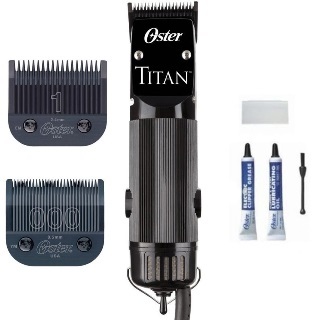 The Oster Titan is a 2 speed, heavy duty clipper which is a power house clipper to get each and every hair clipping job done without any trouble. It is one of the most used Oster clippers by barbers and stylists across the globe. It has proven its worth by standing up to continuous use, day after day and year after year. This Titan is much like all other Oster Clippers as it is famous for its durability, powerful motor and heavy-duty performance. The 2 speed motor is an addition to the already powerful motor for a further high power for all types of hair. The slower or the 1st speed is more than sufficient for all haircuts, but if there is a need the high boost speed is also available without compromising on precision. The Titan by Oster uses the same universal powerful motor like all other Oster clippers but comes in its 2 speed for a more precise cut with one pass rather than repeated strokes. It is a workhorse that keeps on going for both the experienced cutter and the beginner who appreciates the clipper’s ability to take charge effortlessly. The design of the Titan is ultra-durable with break-resistant housing which is proven for all day cutting without any wear & tear. You will always be glad to spend a little bit more money on an Oster clipper such as the Titan compared to just any other hair clipper. While a bit on the pricier side, it pays for itself with longevity and by the quality of the cuts. The Titan is a 2 speed version of the best of Oster such as the Classic 76. It may seem like it is offering more, but the same is offered for a higher price with 2 speeds. The Outlaw by Oster is not the most powerful clipper among the ones we have discussed. However, it is one that comes with a 2 speed motor. As you may have realized by the review of the Oster clippers, the need for 2 speeds is not there since the motor is more than capable of handling all normal hair clipping. But instead of using cheaper grade hair clippers of any brand, an Oster has its own value! Even as a rookie in the clipping hair department, the Outlaw will be able to give you the results you desire. The Oster Outlaw fits in hand nicely and has a non-slip grip for safe control even if wet. The precision cut using the detachable blades are that of the same level as the powerful Classic 76. With its 2 speed setting, you can always move up to the turbo boost speed for cutting thicker or longer hair. 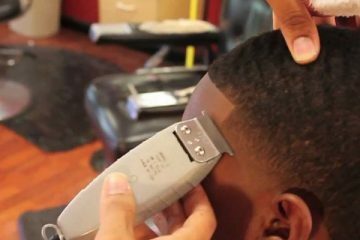 The sharp blades can cut through hair precisely, cleanly and very fast. The Oster Outlaw has amazing features and are not just meant for home use, they are perfectly fine clippers for professional use. It is the handy lightweight clipper you need in a professional environment supporting your main, heavy duty clipper. Budget professionals may even consider this as their primary clipper but for those who are willing to spend more will easily opt for a more powerful, heavy weight clipper by Oster. There is a positive in design for the clipper which is the vents. There are not vents which work to cool down the blades for longer use. But for the Outlaw 2 which is designed mainly for lighter use it is not a main concern and it serves the purpose of making it lighter and cooler looking. The spray on cooling oil will keep the blades from getting uncomfortably hot during use. The Oster Outlaw 2 has the tendency for the blades to get hot too soon. It also has lower quality cord in comparison to others on this list and has moved away from the traditional Oster vintage looks. All hair clippers are designed with the purpose of serving a particular purpose. The top six Oster hair clippers reviewed above are all some of the perfect choices to serve its specific purpose. While there are many more premium grade hair clippers out there in the market, I have compiled the following reasons in detail to support my opinion of why Oster clippers are the better choice. As a professional, the worst case scenario is having to put everything on pause when your first choice clipper is not functioning. While your professionalism demands that a backup is always ready, but the inability of using your primary clipper will haunt you throughout the day. This is because the backup clippers will always have shortcomings for which it is merely the backup! The best Oster hair clippers are built to withstand tough, long usage that is the trademark of professionals. So the need for maintenance is a rarity. There are barbers who own the Classic 76 for over 10 years and is still fully functional. As for my backup, I also have an Oster as my backup! One of the only times I had a failure with Oster clippers is after a fatal drop, then it never really worked the same. But as with my experiences with countless other big name brands, none provide the level of reliability as Oster. Oster clippers are known to deliver the fastest cuts with a single strike. So you will not be going over and over again to catch all the hair evenly. The clipper blades are capable of delivering the fastest and sharpest cuts with a single glide. Every model of the Oster clippers is especially equipped to cut thick hair easily without repeated glides in the same area. The blades can be swapped easily for uninterrupted cutting. Oster clippers are powerfully equipped with pivot or rotary motors instead of the traditional electromagnetic motors. Instead of the back & forth action by magnetic motors, pivot motors operate by whirling to turn a piston for raw power. While pivot motors are not as fast as magnetic motors, they are certainly much quieter. This proves that how fast a motor runs in not the only measure of its power. With more torque in pivot or rotary motors, the blades are capable to effortlessly cut through hair. One common problem with electromagnetic clippers is the tug & pull on your hair. This will be non-existent with Oster pivot motor clippers. This makes it more suitable for dry or even wet hair cutting. As a result, cuts are finer and more precise. Maintenance is very easy with the Oster clippers as they are effortless to oil & lubricate and requires no high grade maintenance. Professional care is not needed so as a home user or a beginner, you will not be stressed with maintaining an Oster clipper. Oster clippers are built to easily last for years without major maintenance and the high carbon stainless steel blades are easily long lasting. Just remember basic maintenance such as oil, lubricating grease and replacing things like the carbon brushes, that’s it! Yes, we have covered this point earlier in the motor section, but this repetition is necessary. The amazingly quiet performance by the Oster clippers will impress you and relieve your customers without a loud buzzing noise. The motor in Oster clippers hum instead. With proper maintenance, clippers will continue to be as quiet as the first day of unboxing. But without proper maintenance, you will lose out on its serene performance depending on the wear & tear of usage. Another amazing thing about Oster clippers is its overheating, or the lack of it! That’s right, the unit will not heat up as you may be used to with other clippers. Without too much friction due to its pivot motor, the unit runs cool. Also, the plastic body does not conduct heat and gives you a better hair cutting experience overall. It is comfortable for not just one cut, but professional day-long hair cutting without loud noises or overheating. Oster is clearly one of the finest manufacturers of the best hair clippers with many top notch products available in the market. Oster hair clippers are suitable for all types of hair making it the ideal universal clipper. Six of the top Oster hair clippers were reviewed highlighting the strengths & weaknesses of each and how they compare against each other. Looking at the review of the Oster clippers, you must have made a decision as to which is your choice! Oster guarantees long, durable performance from each of its products whether you are a professional or a beginner. So pick up the best oster hair clipper from the top choices we have reviewed today & get a seamless performance from any of these heavy-duty, powerful & conveniently designed machines.